Natural range East Asia. N Veitnam to Amur River. Habitat Large rivers and lakes with many phytoplankton. Range in Japan Established in Tone-Edo River System and Yodogawa River System. However, constantly released in many lakes. Date Grass carp was imported since 1878. In 1943 and 1945, released in Tonegawa River. Route Accidental: Hitchhiking on grass carp seedling. However, deliberately released in many lakes and rivers. 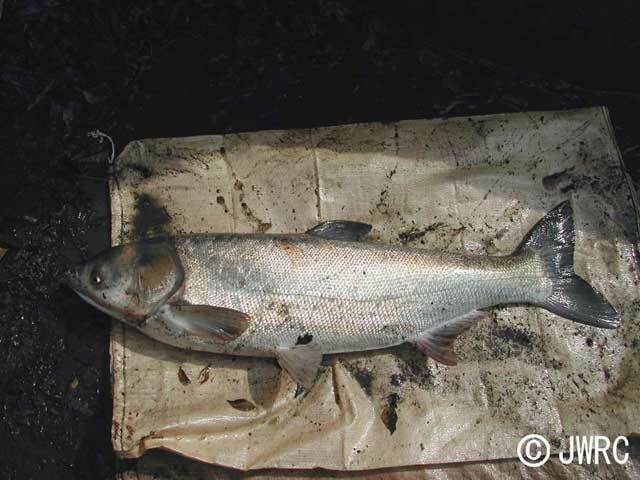 Impact Impact on native fishes seems little. There is a report that Japanese crucian carp in Teganuma pond, Chiba Pref (introduced population) have been reduced with increase of this species. Regulation in Japan Capture of this species is regulated by several local governments. Introduced range in other countries Wide area of Asia and Europe, a part of Africa, USA, etc.